Fundraising in Belarus: Fact or Fiction? Fundraising is a relatively new phenomenon in Belarus. Only a few people are now professionally doing fundraising for social projects or non-commercial organisations. Maksim Podberezkin, Clearing House programme coordinator, claims that any skilled person can be a fundraiser in Belarus, you don't have to be a “superman” to do this. Fundraising is a targeted systematic search for funds and resources for organisation of socially important events and/or support of social institutes (organisations). People specializing in attracting funds and resources are called fundraisers. If your organisation does not have such a professional, it's probably high time you entrusted several employees with a task to find additional funds and resources. Alternatively, fundraising responsibilities can be performed by the director. The main thing is to divide your time effectively, so that you could combine fundraising with your main activities. A fundraiser must be sociable, diligent and efficient. Fundraisers on average have about thirty minutes to explain to a potential donor what kind of support an organization needs and why they should provide it. An important thing fundraisers need to understand when they meet heads of companies is that often they do not own the companies themselves, so they do not personally manage funds and resources. It is possible that a donor would need some time to give you a favourable answer. There is a “myth” that only those who have “a lot of money” would help. However, this is not always the case: help often comes from wealthy businessmen and organisations, as well as from people with average income. Thus, the desire to help others is not always linked with the level of income. It’s not the amount that matters in the fundraising but the mere fact of rendering assistance. According to Maksim Podberezkin, fundraising is based on the Pareto principle: 20% of donors provide 80% of all funds raised. In Belarus sponsor support by legal entities is regulated by the Presidential Decree No.300 of July 1, 2005. According to this document, legal entities can render gratuitous (sponsor) support to organisations in the territory of the Republic of Belarus. In order to provide such aid, a legal entity needs to sign a contract in accordance with the Decree. Certain representatives of Belarusian business sector have a preconception that if they do charity, it will draw some unwanted attention of “control authorities”, when, in fact, charity is an indicator of success, financial well-being and reliability. Today doing charity can significantly improve customer perception, bring extra publicity and create a positive microclimate within the company. Any public organisation doing fundraising in Belarus must have a culture of fundraising: when all the employees know who is in charge of fundraising and who is the point of contact for potential donors. In case the fundraiser is not physically present in the office, all the others employees must know how to politely answer a donor's phone call and remember to write down their contact details. The myth that it is somehow shameful to ask donors for money exists because of a widespread stereotype: anyone who asks for money is weak, unsuccessful, etc. In fact, it is far from true. In most cases a fundraiser will represent a successful non-profit organisation, thus allowing sponsors to participate in a successful and interesting community project or a social campaign. Fundraisers need to maintain regular contact with donors. Such communication can happen over short meetings "over a cup of coffee" when you can talk about the progress in sponsored project. Another great idea is to send a "congratulatory" end-of-the-year email to all potential sponsors where you can describe activities of the non-profit organisation, results of its work, successful projects and proposals for cooperation. You can also invite donors to joint activities, as quite often decisions about doing charity work are driven by emotions: if initially a donor declined your request for assistance, this does not mean that they would do so again in future. At the same time do not be too disappointed if a donor agrees to provide very little financial support: the sponsoring company may wish to look into various financial assistance arrangements, see a detailed report on the expenditure of donated funds. In future such a donor will be confident in the non-profit organisation and will be willing to provide substantial financial aid. According to Maksim Podberezkin, fundraisers need to remember that people are ready to help and provide financial assistance. Many of them wish to see the results of their actions. It is important for non-profit organisations to post financial statistics or a report on their website detailing how much money was collected for a social initiative or a project, which organisations took part, how much money was received from individuals and from legal entities, in what way the funds were allocated and used, and what are the results of the grant aid. Mass media channels provide another way to inform the public about your social projects. A fundraiser can invite representatives of their non-profit organisations, donors and all other interested parties to attend a press conference. Public dialogue is very important in fundraising: the more people learn about your organisation, the more chances you have to find those who are willing to help you. 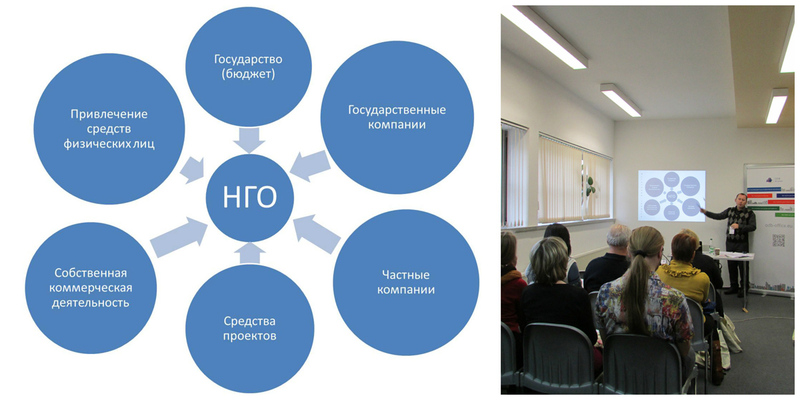 Even though fundraising in Belarus is only gaining momentum, many organisations can already put its basics into practice. Fundraising increases the development potential of an organisation and in some cases can be an effective way to finance new projects. 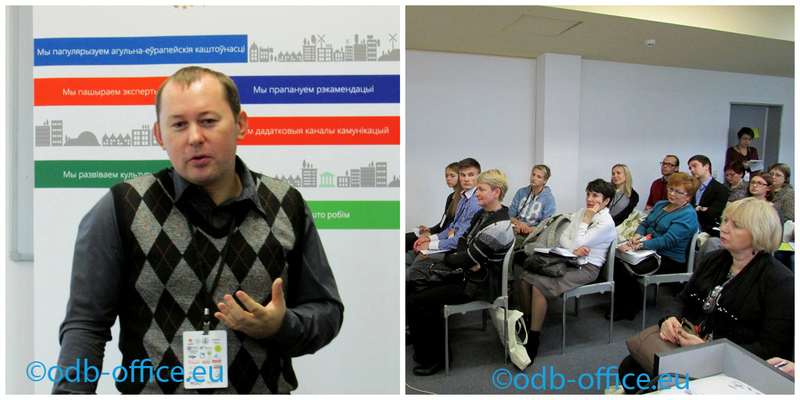 The master-class on fundraising was organised within the framework of Organizational Development Fair 2014.